The WB series has two patents and is the first evaporator of its size to use the extra-high efficient submerged combustion technology. 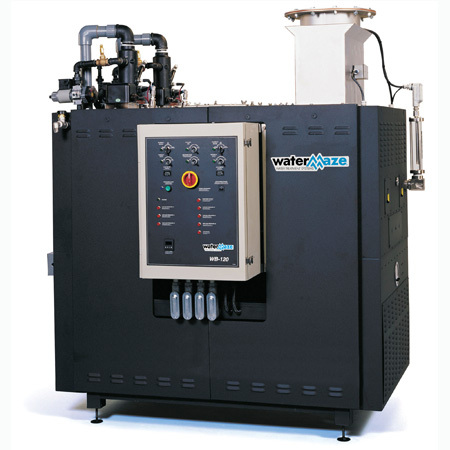 There are two models capable of handling waste streams at a rate of up to 60 and 120 gallons per hour (GPH). Tank Capacity 170 gal. 76 gal. Dimensions (LxWxH) 79" x 50" x 81" 73" x 31" x 80"
Ship Weight 1,930 lbs. 1,195 lbs.